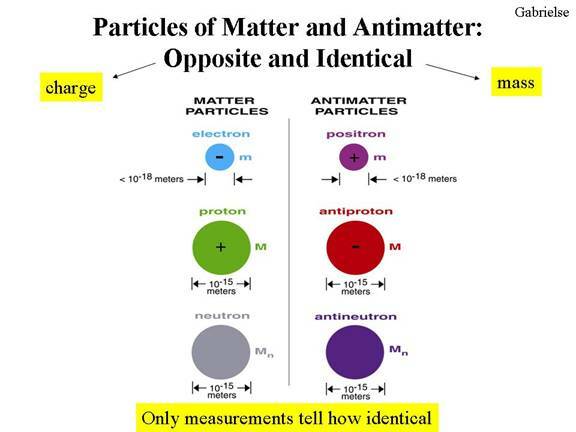 I think the whole discussion of anti-matter is very interesting. It certainly seems as if there's something to it. Just want to say, Hey...and let you know I have written some book reviews that you might find interesting. Interesting view .. and also logical. I am wondering how would it be possible to draw energy out of the massive pool (unmaterialised energy) and convert it to electricity. MayBE a stupid thought.. for some.. . In any case thank you for writing your thoughts about antimatter - right timing is allways Gods WILL. What a thought, what a possibility, unlimited anti-matter. It would be something. 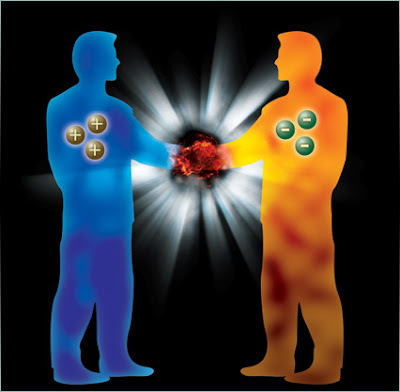 Eternal energy, how to extract/separate it from the pool/ground/air? I dont know. let me know if u do it. THERE IS NO SUCH THING AS THE ANTI-NEUTRON. BECAUSE THE NEUTRON HOLDS NO CHARGE YOU CANNOT HAVE AN ANTI VERSION OF IT. The graph came from CERN and if you notice the neutron has no charge associated with it.. maybe its and anti-no charge particle.. who knows theses things? One thing is for sure every particle has an anti of its self.... I call it the spirit world.